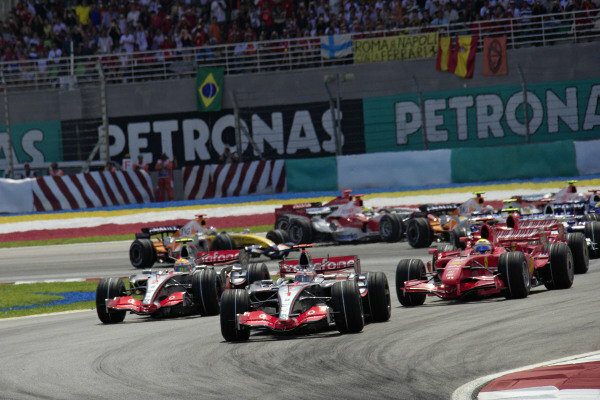 Fernando Alonso, McLaren MP4-22 Mercedes leads Lewis Hamilton, McLaren MP4-22 Mercedes and Felipe Massa, Ferrari F2007 at the start. 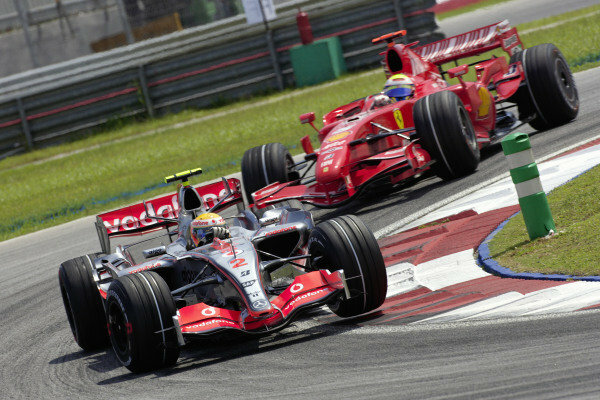 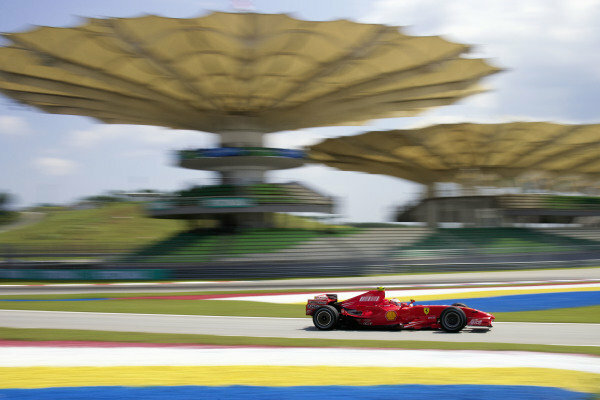 Lewis Hamilton, McLaren MP4-22 Mercedes leads Felipe Massa, Ferrari F2007. 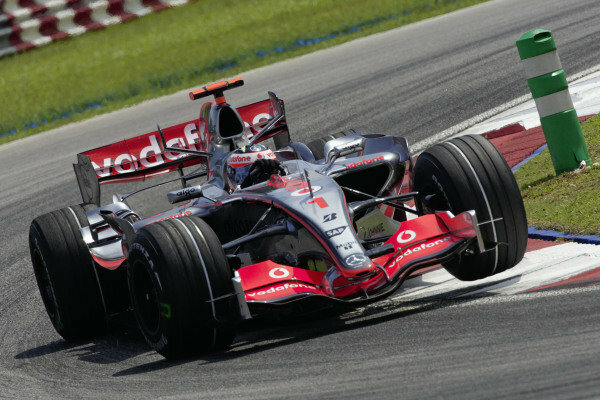 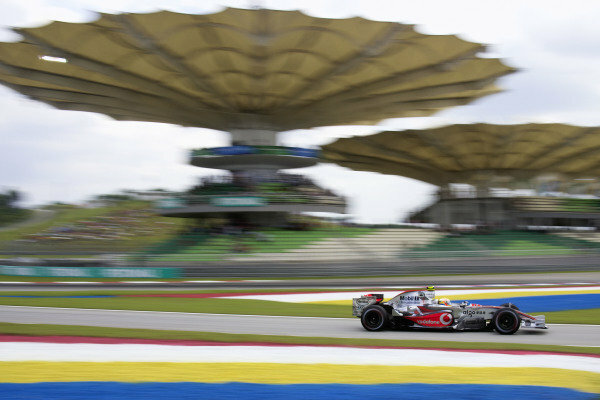 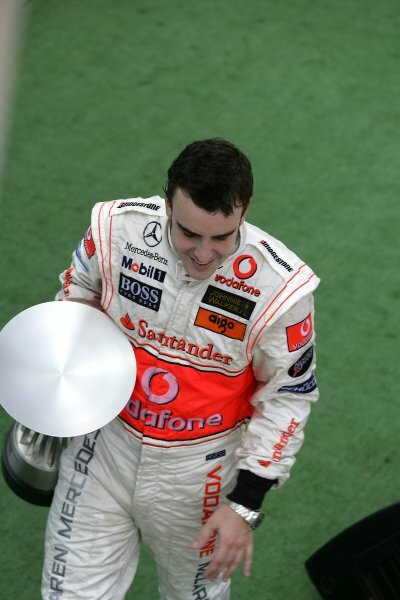 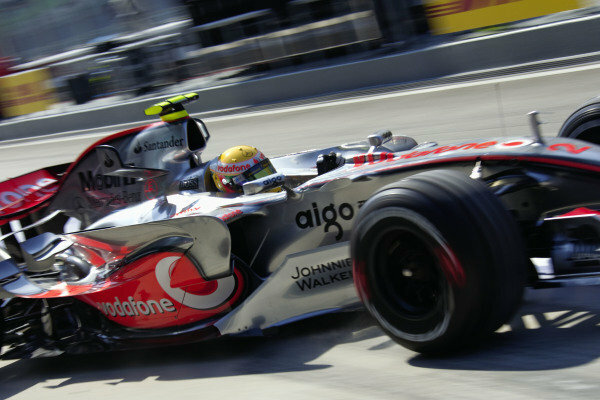 Fernando Alonso, McLaren MP4-22 Mercedes. 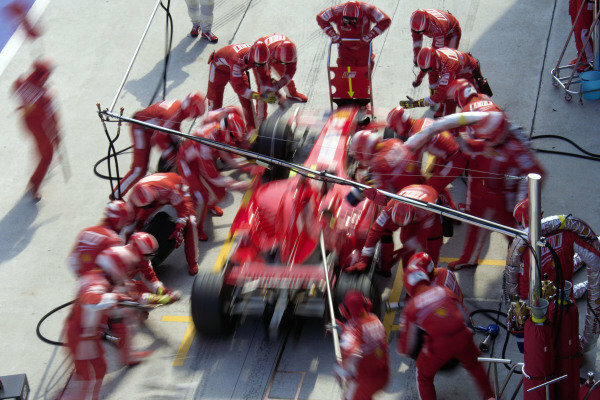 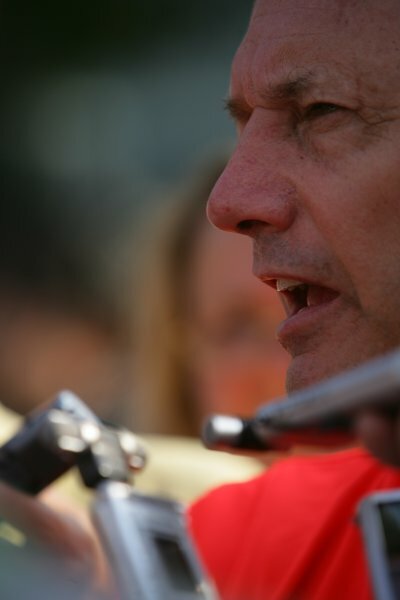 Kimi Räikkönen, Ferrari F2007 pitstop. 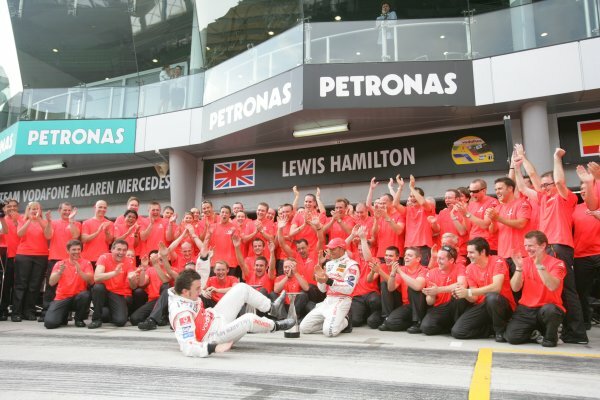 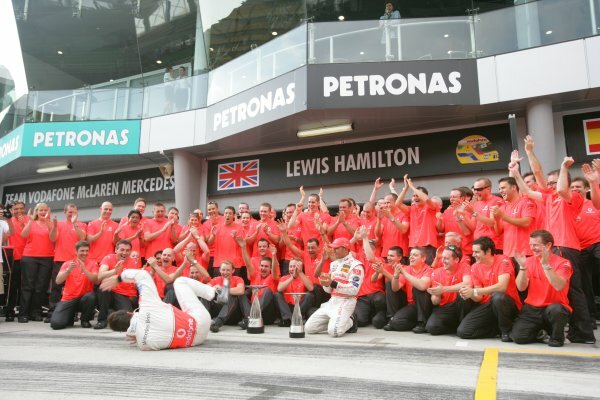 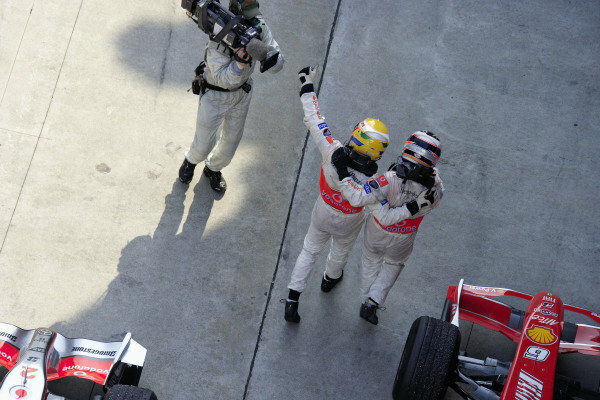 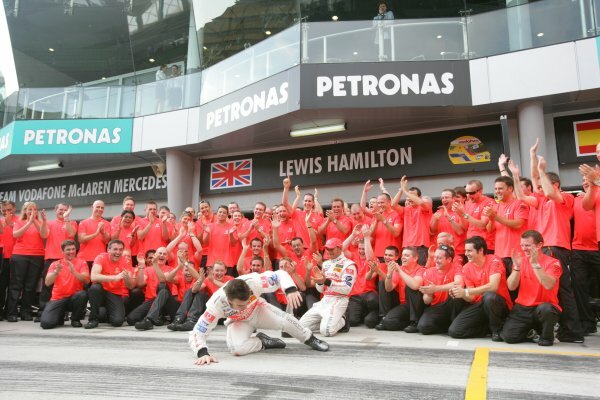 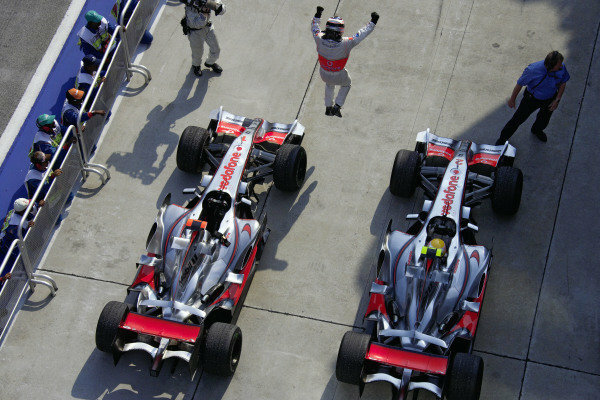 Fernando Alonso leaps in celebration at his victory in parc fermé as teammate Lewis Hamilton still sits in his McLaren MP4-22 Mercedes. 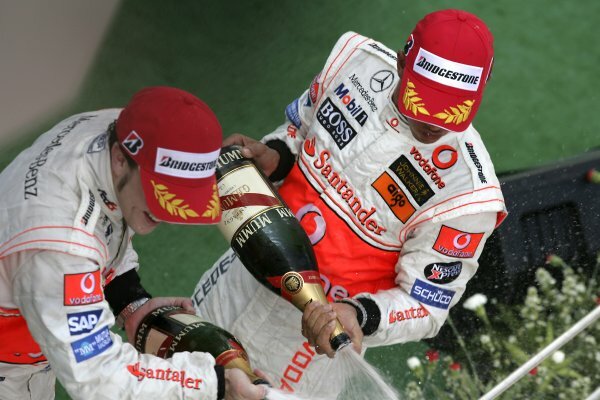 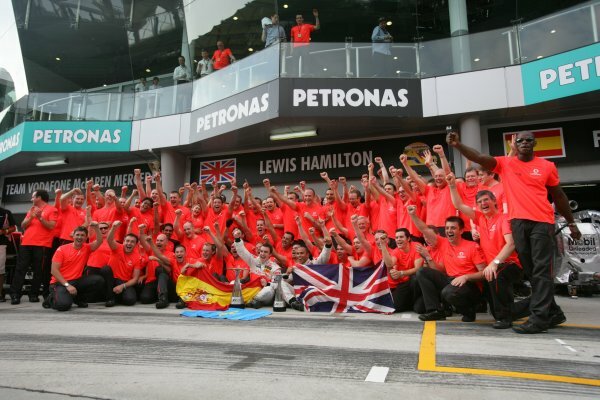 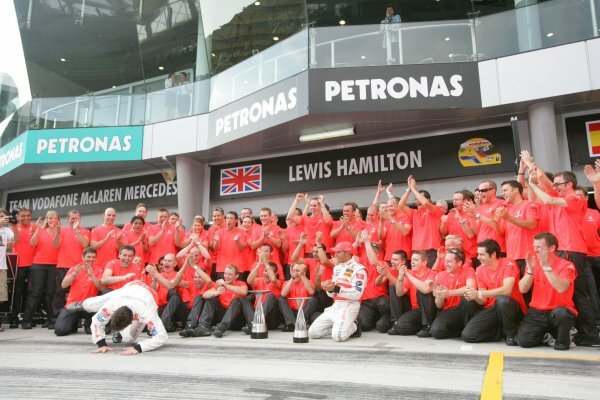 Teammates Fernando Alonso and Lewis Hamilton celebrate their 1-2 result in parc fermé. 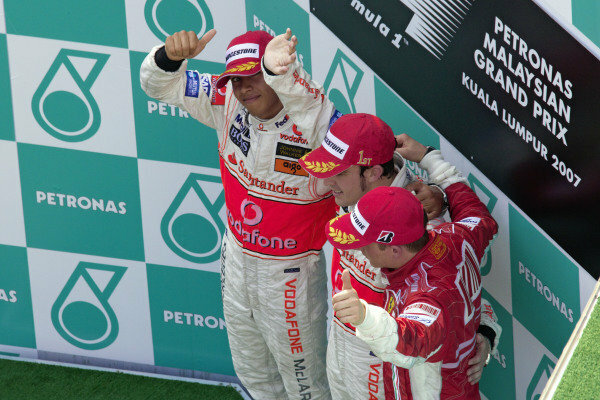 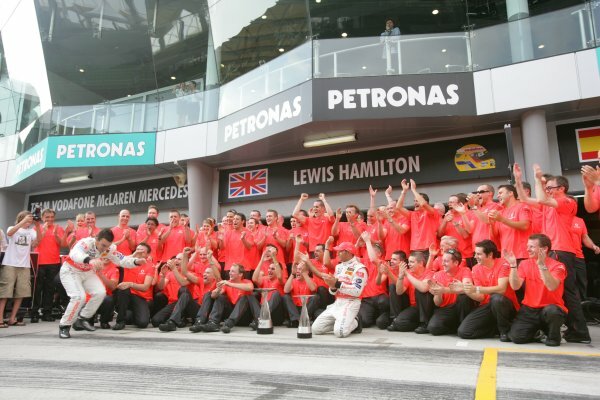 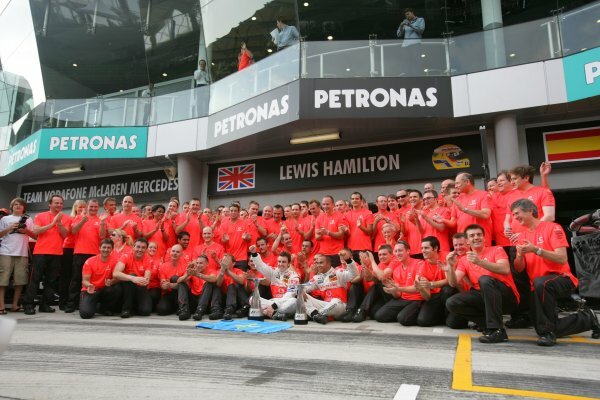 Lewis Hamilton, 2nd positon, gives a thumbs up to the camera as teammate Fernando Alonso celebrates his victory and Kimi Räikkönen celebrates a 3rd place.